Tom has always been what his mother Bronwyn calls “a hands-on guy.” So when the time came to choose a college, she knew that Manchester Community College was a great fit for her son. A recent report shows that students who started at a community college and then transferred to a four-year college had a higher completion rate for their bachelor degree (73.5%) than those who started at a four-year college (63.2%) after eight years. Community colleges usually offer courses comparable in academic rigor and difficulty to those taught at four-year colleges and universities. In fact, since research is not conducted at community colleges, more emphasis is placed on classroom instruction, and many professors at community colleges utilize teaching methods that focus on teaching rather than research, which facilitates a better learning environment and experience for students. Community colleges have more flexible schedules that allow students to work while going to school. Daytime, evening and online classes provide opportunities for students of all ages, who are at different points in their education and career paths. Classroom size is often smaller at community colleges. At MCC, for example, 79% of the classes have 19 or fewer students. Smaller class size offers greater opportunity for student participation, more individual attention and improved instruction. MCC offers traditional liberal arts curriculum, as well as the vocational/technical programs that have historically been the cornerstone of community college programs. Traditional liberal arts-inspired associate degrees mirror the first two years of general education at a four-year college, making it easy to transfer. A community college degree can lead to a university degree (at a significant cost savings), or straight into a high-demand career. Nationally, community colleges educate 62% of allied health professionals and more than 80% of law enforcement officers and firefighters. MCC is accredited by the same agency that accredits UNH, SNHU, Dartmouth, Boston University and all other accredited New England colleges. The New England Commission of Higher Education (NECHE) accredits all New England colleges, which means that the education meets specific standards of educational quality. Working with advisors from both colleges, students can successfully transfer all or most of their community college credits. To see exactly what transfers in New Hampshire, visit NHTransfer.org. Even though tuition at community colleges is already relatively low, financial aid is available. Many scholarships don't differentiate between two- and four-year colleges, and some are targeted specifically at community college students and students transferring to four-year colleges. The Federal Pell Grant, for example, is open to students attending any accredited post-secondary school, whether they attend full- or part-time. Students who start at MCC and transfer to a public 4-year college save an average of $50,000 on student loans and graduate with the same degree! Community college tuition is very affordable. Community college isn't for everyone, but it saves thousands of tuition dollars for the millions of students who choose it every year. Most students who attend a public 4-year college rack up an average of $66,000 in school loans and pay approximately $1,300 a month for 10 years. 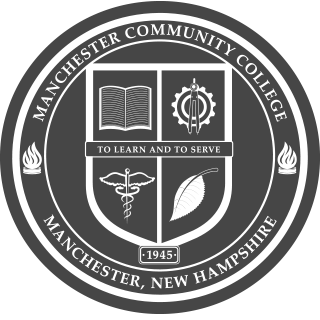 Start at Manchester Community College and see the savings! Students who start at a community college and continue on to a public 4-year school save an average of $50,000 on student loans and graduate with the same degree. * These figures are based on 2014 in-state tuition, includes fees and an estimated 8% APR. Do community college credits transfer to 4-year schools? Yes. Today's community colleges in NH have articulation agreements with four-year colleges both in NH and out-of-state. With planning, students can successfully transfer all or most of their community college credits. Are students who start at a community college eligible for financial aid and/or scholarships? Yes! Even though tuition at community colleges is relatively low, financial aid is available, including the Federal Pell Grant as well as many scholarships. I heard community colleges are inexpensive because the education is not high quality... is that true? No. Community colleges are much less expensive than four-year colleges, but that doesn’t mean students sacrifice a quality education. In some cases, professors at community colleges are also teaching at local four-year colleges with much larger classes. Is a community college degree as good as a university degree? Yes! A community college degree can lead to a university degree (at a significant cost savings), or straight into a high-demand career. Aren't community colleges for students who can't get in to 4-year colleges? Not necessarily. Most students start at a community college to save money on their first two-years of college, enjoy the flexibility of schedules that allow them to work while going to school, and for the personal attention that small classes provide.